German nano technology takes carnauba wax to the next level! SONAX NanoTechnology Liquid Wax is formulated with the highest quality ingredients and produced under the strictest quality standards set forth by Mercedes Benz and BMW. 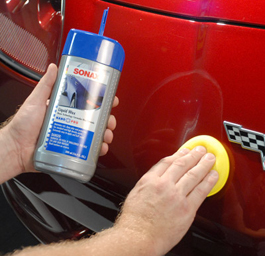 With nano-sized carnauba wax particles, SONAX NanoTechnology Liquid Wax forms a shield that protects auto paint from scratches and abrasions, discoloration, fading and cracking. And the shine is fantastic! SONAX Nanotechnology Liquid Wax takes 40% less time to apply and remove than a conventional wax. 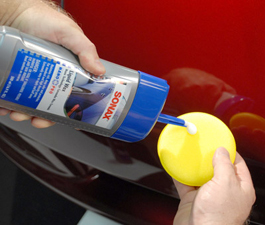 Apply SONAX Nanotechnology Liquid Wax with a damp applicator. Use a soft, clean microfiber towel to buff. The carnauba wax in SONAX NanoTechnology Liquid Wax is the finest available. 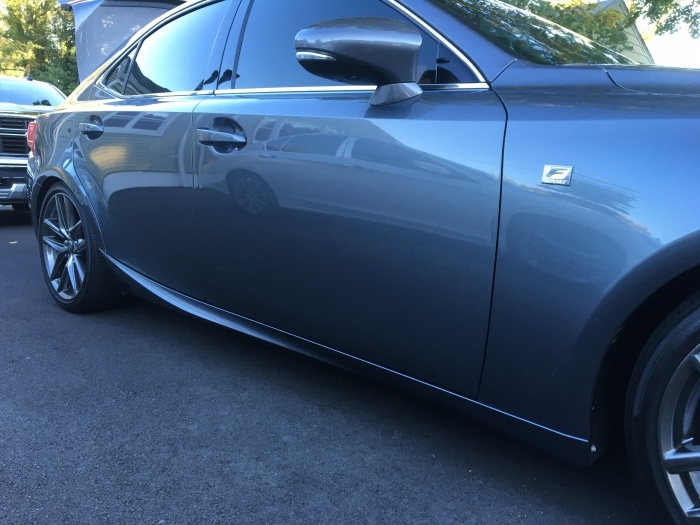 It is broken down to extremely fine (nano) particles to penetrate the smallest holes and cavities on your vehicle’s surface, producing the ultimate in long-lasting protection from harsh environmental elements. Added ingredients stabilize the wax particles to prevent them from reforming larger particles. Ultimately, SONAX NanoTechnology Liquid Wax is easier to apply and buff and produces a better shine. Nano technology focuses on the building blocks of a great shine, not just the surface. The ingredients in SONAX NanoTechnology Liquid Wax are broken down to penetrate beneath the surface of the paint and to enrich and protect it from the inside out. This approach is more than a shiny coat of lacquer for the paint; it is complete paint care that is evident in the paint’s gloss and smooth texture. SONAX NanoTechnology Liquid Wax will maintain your vehicle’s clean look and smooth surface far longer than comparable liquid waxes. This special combination of real carnauba wax and Sonax’s proprietary ingredients allow moisture and dirt to roll off the paint. Washing your vehicle will yield beautiful results. SONAX NanoTechnology Liquid Wax takes 40% less time to apply and remove than conventional waxes. Use a damp applicator to spread a thin layer of product over each section. Allow the wax to dry for 20 minutes. 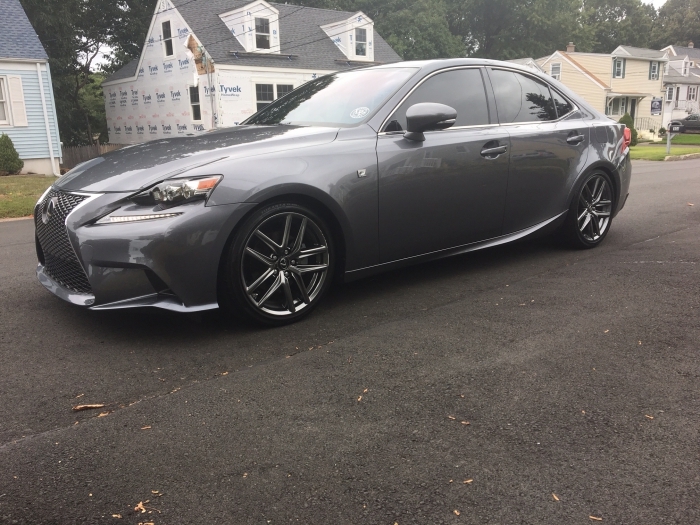 No rubbing or polishing is needed. 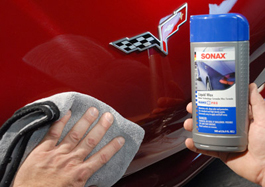 SONAX NanoTechnology Liquid Wax is a breeze to remove, even in hot, humid climates. Depend on Sonax’s state-of-the-art German technology to protect and beautify your vehicle’s paint with SONAX NanoTechnology Liquid Wax. Nano technology combined with real carnauba wax create a liquid wax of excellent quality and unsurpassed performance. Iâ€™ve used tons of different waxes, but no more. Iâ€™m sold. Iâ€™ve been using this wax for probably 3-4 years and have found it to proovide excellent protection. But, the best thing is just how easy it is to use. Itâ€™s so easy, I wax the car more often. ProsGreat protection. Easy to use. This is a great wax - one of Sonax's claims is that the nano particles fill in very light swirl marks - after using it I believe the claim - my SuperBlack Nissan 370 is left with a creamy brilliant finish. Just spread it thin - barely noticable - and wipe off within 30 seconds - no problems, no marring. Shine enhanced with Sonax Brilliant Shine Detailer which is really a spray sealant, like Chemical Guys V7, but better - lasts longer, with much better water beading. This is an excellent combination. I apply over a 2 coat base of Chemical Guys Jet Seal for a bug bomb / water spot proof finish. Maintain with Wolfgang Uber Rinseless Wash, and Brialliant Shine every two weeks. For extra pop I like the Wolfgang Fuzion Spray Wax. I gave it a try and it succeeded my expectations! Easy to apply / Easy to buff off! Water beading is great! I applied it with a foam applicator. Then, I applied a second coat with a buffer. Results were amazing gloss and water beading! Rates up there with the best. This is a great liquid wax - over paint or a paint protection film. Cons*If Only* - it would last longer than 4+ months (Pacific NW). But then what "easy" product does?